Riley, a Mount Royal student, shares his personal project of creating a machine learning algorithm to generate music artificially. Testing the line of what creativity really means by having a robot create music using the same music theory rulesets that humans use. 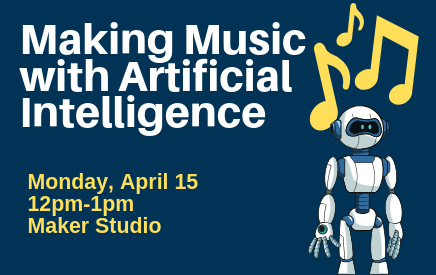 Come learn about what it took to make and listen to rad robot rhythms. Maker Mondays are a series of events where local makers from within and outside of the MRU community come and share what they are working on with a view to showing us the possibilities with the tools and technologies in the Maker Studio. Meet the Maker and ask all the questions you have about their project.